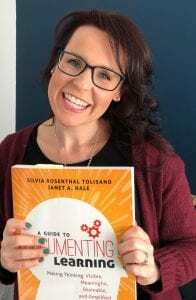 I’m currently reading through A Guide to Documenting Learning: Making Thinking Visible, Meaningful, Shareable and Amplified by Silvia Tolisano and Janet Hale. What is learning? How do we look for, capture, reflect on, and share learning to foster meaningful and active engagement? There are lots of useful teachings, resources, and scenarios no matter what age group you work with or what educational setting you’re in. One chapter that I found particularly interesting was about documenting learning with sharing and amplifying in mind. We know there are now a plethora of ways that students can share their learning online. 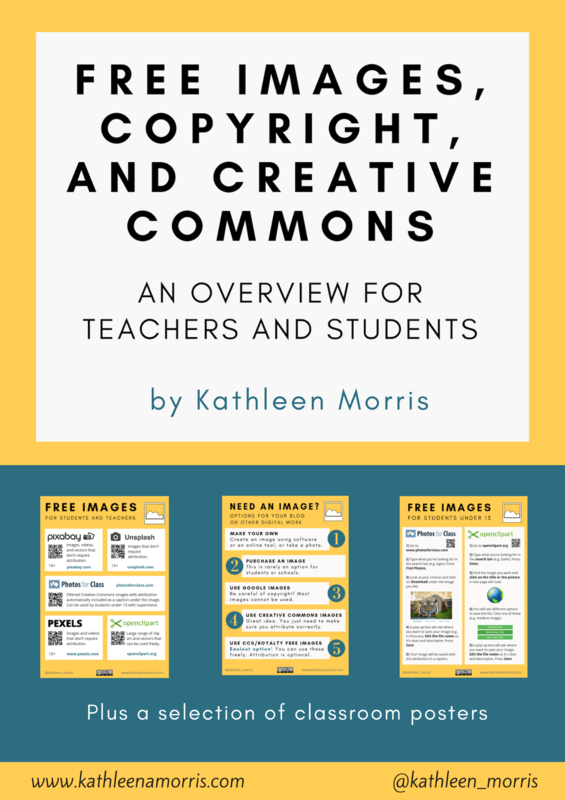 While I still don’t feel like this is common enough, thankfully, more and more schools are embracing online sharing whether it’s via blogging, digital portfolios, videos, podcasts, G Suite tools, the list goes on. One concept that I don’t think receives enough attention is the amplification of learning. Students might write a blog post, publish a podcast, or create any sort of digital work but then what? Perhaps we sometimes see pressing the ‘publish’ button as the final step in the learning documentation process. Of course, it’s not. Who is reading, viewing, or connecting with that shared learning? Who is reinforcing or challenging learning? Who is providing additional viewpoints, new perspectives, or useful feedback? Just because something is online, doesn’t mean it has an audience. Silvia and Janet have provided a helpful framework in their book that demonstrates degrees of amplification. I see this as a useful reminder of what’s possible, rather than a continuum where you have to be at the end to be successful. All four areas offer some benefits. Sharing with yourself involves a slight degree of amplification. This act of capturing your own thinking can force you to think deeper and make connections. You sometimes realise you don’t understand something as well as you thought when you’re trying to clearly explain your thoughts or learning. This stage naturally connects to the next forms of amplification. While having a low degree of amplification, the act of sharing with others face to face can help to stretch your thinking, whether you’re a teacher or a student. It can really help you consider new perspectives, especially if you open yourself up to interacting with people who are different to you. Comments, clarifications, resistance, and questions posed by those listening add a dimension that could not happen if talking only to yourself. Digital interactions (e.g. Skype or Google Hangouts). I think the key here is to really put effort into finding people who might have different viewpoints. We all know ‘birds of a feather flock together’. It can feel uncomfortable to reach beyond your ‘flock’. However, deep learning and growth aren’t always comfortable. When learners share online, the degree of amplification increases. However, this doesn’t occur without effort and needs to be strategic. Educators can really assist here by connecting their students with interested audiences and experts. There are so many ways you can do this. I feel like having a professional learning network (PLN) and online presence yourself as an educator is so important. You don’t need to have thousands of people in your network either. It’s about quality over quantity. You can then use social media to share student work and invite an audience. Reciprocation and helping other students and teachers with this is also part of the equation. “Hello, please visit my blog post”. A more worthwhile approach involves showing a genuine interest in what the author is blogging about, adding your own thoughts, and inviting the community to visit your own online work. Read more about this in Comments For Kids Still Count: Teaching and Promoting Quality Commenting. This is the ultimate form of amplification. Sharing globally certainly takes more effort but the rewards can be more powerful. When educators and students are interacting with a global audience, new realms of understandings are opened up. This includes things like appreciating very different perspectives and understanding your own cultural bias. Like sharing online, having a PLN can really help here to find those connections. From the Documenting Leaning book, I was reminded of Jackie Gerstein’s great blog. I believe it is the responsibility of every educator in this era of learning to share . . . resources, ideas, success, challenges, ahas, student insights, anything education related. What is holding you back from sharing? In the Documenting Learning book, the authors list a number of valid reasons why teachers are reluctant to share or amplify the learning of their students or themselves. These include lack of time or technology. Self-confidence can also be a limiting factor — worrying about bragging, judgement, or not feeling worthy enough etc. Personally, I too have these worries! I go through stages of sharing a lot and then not sharing much. Maybe this is okay. I don’t think you have to be constantly sharing everything to help yourself, your students, and others. Strategic curation is important too. In the book, Janet and Silvia suggest that the best strategy for overcoming these barriers to sharing and amplifying is to just begin. They also suggest you consider prioritising your time. The more administrators and teachers, as learning leaders, are willing to model risk-taking, sharing and highlighting learning successes, failures, and confusions by making them visible, the more students will feel comfortable, supported, and encouraged to do the same. I would extend this quote to say the more teachers and leaders are willing the share, the more comfortable and encouraged other teachers will feel as well. Is it safe to share online? Understandably, there is a lot of fear around publishing online. We need to be very mindful of being safe online while also using online interactions as an authentic way to teach and learn about digital citizenship. With opportunities comes responsibilities. As I mentioned in my post on digital footprints and online reputations, young people need guidance navigating their online world, just like their offline world. I created this visual to demonstrate some of the classroom discussions you can have about what you should be publishing online. Deciding what work and information should be public and what should remain private is a critical skill we really need to guide our students on. Digital abstinence is not the answer. Want to read more about publishing online and online safety? 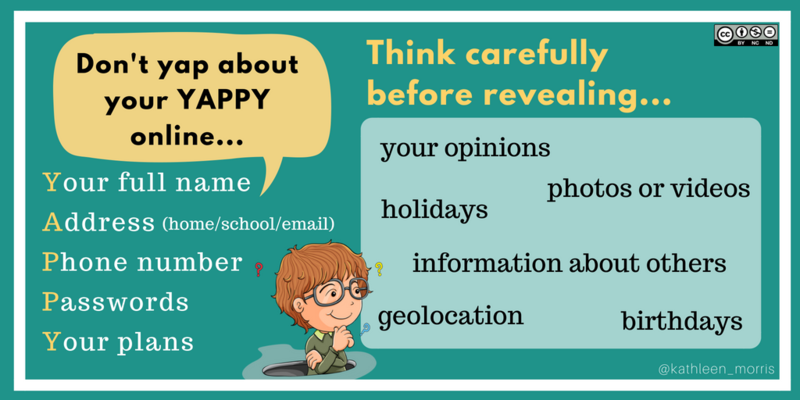 Should Your Class Blog be Public or Private? Amplifying learning often brings unexpected and memorable surprises. When my students received comments from famous authors like Mem Fox and Michael Salmon. When students’ interest in dinosaurs led to a Skype session with an expert at the National Dinosaur Museum. When a local radio station found our class/student blogs and asked our grade two students to write content for their station blog. When a student had a conversation with Jacqueline Harvey — an author whose books she was really enjoying. This post only touches on the surface of amplification. For further reading on this topic, be sure to check out A Guide to Documenting Learning. I’d love to hear your own thoughts on sharing and amplifying learning. Do you have any tips or examples to add? If you haven’t already signed up for my monthly newsletter, maybe you’d like to? Towards the end of each month I showcase the blog posts I’ve written and also share other useful links, tips, or resources I’ve come across. 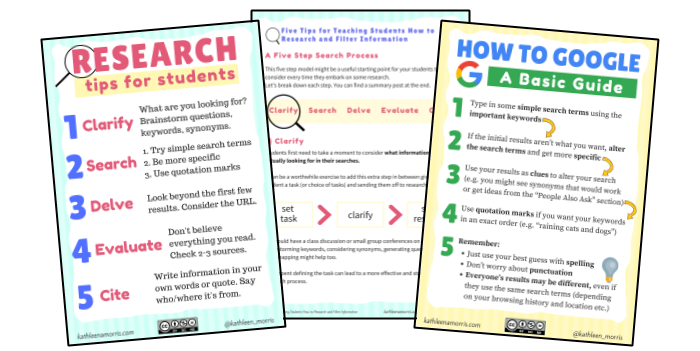 When you sign up, you’ll also get instant access to my e-book with tips for teaching students how to research. It includes two classroom posters. I created this after a number of teachers told me how useful they were finding my blog post on teaching students how to research. I have not gotten to Silvia and Janet’s book, although I have read a number of posts associated with it. On a side note, I recently came upon an interesting discussion associated with the idea of sharing from Adam Grant. It takes a different approach to the problem and argues that what often matters is the culture we create around sharing and sharers. The question I was left wondering is whether everyone has to share? What is the place of the elegant lurker? I appreciate your wonderment and will begin by saying I have no problem with lurkers who are doing so at the onset of trying to “make sense of it all” when first exposed to a new social media platform. With that said, to truly grow as a learner–and contributor–the lurker needs to become a risk-taker and share his or her voice. And that is the key–everyone does have a voice! A producer-consumer culture, which is foundational for a documenting environment to thrive, is built on sharing and amplifying. This culture is the norm for many students (and adults) when not in school. Connecting with others is ubiquitous in their everyday lives. Updating one’s status on Facebook; adding a book review on Amazon or reviewing a product purchased online; sharing photographs on Instagram; posting videos on Snapchat and YouTube, sending out #hashtag tweets, and tagging photos are just a few ways active online participants choose to connect with peers to express their moments, milestones, and memories. Educational systems need to acknowledge this reality and create or enhance the sharing and amplifying taking place from within a classroom, school, or district. Doing so takes advantage of behaviors and mindsets that students naturally embrace. Likewise, they relate better to their academic environments when they observe their teachers and administrators sharing and amplifying as well. Students need to see their teachers modeling that their voices have value as they share their thoughts, opinions, and perspectives; which in turn, conveys the message to those in our care that students’ voices matter too! Thank you Janet and Kathleen for the comments. I am not against amplification and collaboration, just with so much work to get people to the 1% there is little space left for critical conversations. This is what content production looks like in the age of algorithmic discovery: even if you’re a human, you end up impersonating the machine. I think that to properly comment I need to read the book. I enjoy the way you’re always questioning and always looking at issues from all sides. You know that old “1% rule” (or variations) that say that only 1% of people actively contribute to an online community/site? Perhaps it’s human nature and I guess typically someone might be a part of a lot of communities and share/amplify in some and just listen/lurk in others? This is probably okay too. It’s definitely a complex subject but I can definitely see the benefits of some amplification and sharing. Thank you so much for sharing your reflections based on reading Silvia’s and my book! You summary points regarding degrees of amplification are spot on! …you so accurately describe human nature, and the next to purposefully break free from our normalcy to discover others viewpoints and learn from their voices–just as they learn from ours. I look forward to reading your future blogs delving into #documenting4learning as you apply the documenting framework and learningflow routine in your own professional learning and your students’ learning! Thanks for taking the time to comment. I started scribbling a few notes of things I was particularly interested in when reading your book, although as soon as I started your chapter on sharing and amplifying I knew I had to write about it! There were lots of ‘aha’ moments for me and I just don’t think this is a topic that’s discussed enough. 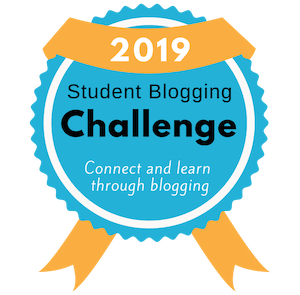 I’ve always enjoyed connecting my classes with other classes through the edublogging community where possible, but after a while I began to realise that it’s easy to find connections that are “similar” — western, privileged, first world countries etc. So even though a class may be on the other side of the world, their backgrounds and lives might not be all that diverse. It’s not always possible but I have found that occasionally trying to really find diverse interactions is when the students’ eyes are opened the most. This doesn’t have to be on the other side of the world either. I remember when my class connected with an Aboriginal community in a remote part of Australia and we all found it fascinating to hear some really interesting new perspectives. Thanks to you and Silvia for all your great work! This is a new clarification for me: amplification. I am not sure of the definition but will do some more reading around this. You gave some nice examples of amplification, but didn’t include the effect of the amplification… what changed for those children as a result of those nice experiences in terms of learning, motivation, interest etc. Thanks for pointing out that a little elaboration is missing. I think the point is, it’s more than simply a ‘nice experience’. As Silvia Tolisano has pointed out in a recent blog post, Our Notion of Being Literate or Illiterate Calls for an Update. It’s becoming more than nice but a necessity that students can read, write, and communicate ideas to others — in a variety of ways. Being able to communicate with a wide audience is really a key skill nowadays. Workplaces are becoming more globally minded and students need to be able to thrive in these changing landscapes. Being able to work together with others to solve some of the world’s biggest problems is a goal shared by many too. This won’t happen without the communication skills which are often gained through amplification. I’ve found this to be the case time and time again! I see, it was what was beyond the nice experience that I was after. So my understanding of what you are saying is that the power of genuine communication, the deepening of understanding that comes from having to marshal your thoughts and communicate them and the inspiration of a response (such as this!?!) and the power of the unknown: who will your communication reach, what responses might you get, what perceptions of your communications might occur; all of this is what amplification is and the benefits for the students? As a school we very much believe in genuine learning and sharing and see the difference those elements make to the students in terms of making learning an owned process rather than an imposed one and the joy and enjoyment of learning this brings and then usually results in “better” learning (I hesitate to say deeper as I feel this is over used and not always true) and so we have dabbled: tweets for one inquiry, an attempt at shared blogging for another, emails to parents and other staff, FB posts. What we have found is that unless you have a committed audience (parents, staff, friends of staff(!)) the response is disappointing and discouraging. Any top tips for paving the way? I liked your “ladder of sharing”! It pointed out some useful ideas to pursue. Nicely put! I think you’re right about the power of the unknown too — you don’t know what new perspectives you might come across. Doors to new ways of thinking could open that you don’t even know exist. It’s so great your school is so on board with authentic learning and sharing. Your dabbling sounds terrific too. I like your thoughts about deeper learning. Perhaps that is a term that’s overused. Perhaps everything doesn’t have to be ‘deep’. Something worth thinking about. Finding an audience is hard and it does take work. I’ve found having my own PLN helps a lot but to take it one step further than that, I ended up a with a core group of classes from around the world who became almost an extension of my own classroom. I met various teachers through blogging and Twitter and found maybe 6 or so who I really connected with — we had classes of a simlar(ish) age (doesn’t have to be the exact age). Plus we had similar goals and similar standards for our students — like we didn’t want our blogs to be digital dumping grounds. So this evolved to commenting on each other’s blogs semi regularly and working on some global projects together. You can read more about some of the projects in this post if this interests you. So it ends up being about give and take I guess. You can have an audience and be an audience. This doesn’t mean parents or staff go by the wayside — I had a number of parents who got involved in connecting with our buddies’ classes overseas and vice versa. They got a lot out of that too. Just like the students! Hope that makes sense and maybe gives you a little food for thought! I enjoyed reading through your thread as you unpacked amplification a bit more through your exchange of ideas! Amplification is both intentional–who do I/we want to reach and for what purpose, as well as you put it, Katharine–the unknown (“and the power of the unknown: who will your communication reach, what responses might you get, what perceptions of your communications might occur; all of this is what amplification is and the benefits for the students?”)!